The Stranger Things Super Bowl Spot Teases Season 2! A Stranger Things Super Bowl spot offers a tease of season two! Netflix has brought online the new Stranger Things Super Bowl spot, which gives us our first look at season two! The second season, which will premiere on Halloween 2017, is set a year after Will’s return, and everything seems back to normal… but a darkness lurks just beneath the surface, threatening all of Hawkins. The first season of Stranger Things proved to be a hit with critics and audiences alike. Most recently, the Stranger Things cast took home a Screen Actors Guild Awards for “Outstanding Performance by an Ensemble in a Drama Series”. 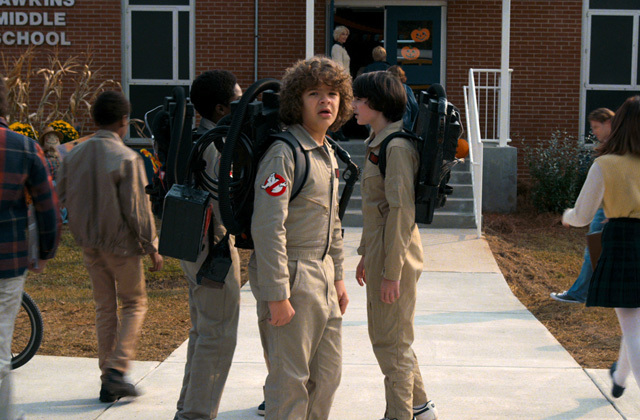 What do you think of the Stranger Things Super Bowl spot? What do you think will be revealed in season two? Let us know your thoughts in the comments below!